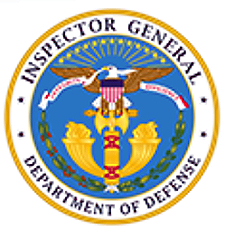 The Department of Defense Office of Inspector General (DoDIG) was assigned to determine whether the Air Force Space Command implemented an adequate supply chain risk management program for four critical strategic systems — specifically, the agency conducted a detailed review of the Space Based Infrared System and a limited review of the Air Force Satellite Control Network, the Family of Advanced Beyond Line-of-Sight Terminals and the Global Positioning System. The DoDIG conducted an audit in response to a reporting requirement contained in House Report 114-537, to accompany House Report 4909, the National Defense Authorization Act for Fiscal Year 2017. This is the second in a series of audits on supply chain risk management for DoD strategic capabilities in response to the Congressional requirement. The Global Positioning System is a constellation of orbiting satellites that provides navigation data to military and civilian users all over the world. The supply chain is the sequence of activities necessary to provide an end user with a finished product or system (from raw material to finished product). The activities include designing, manufacturing, producing, packaging, handling, storing, transporting, operating, maintaining, and disposing. Supply chain risk is the vulnerability that an adversary may sabotage, maliciously introduce an unwanted function, or otherwise compromise the design, integrity, manufacturing, production, distribution, installation, operation, or maintenance of a system. The adversary may take these actions to surveil, deny, disrupt, or otherwise degrade the function, use, or operation of the system. DoD supply chain risk management policy requires DoD organizations to identify critical information and communications technology components, purchase those components from trusted suppliers, and test and evaluate critical components for malicious threats. Ensure the use of rigorous test and evaluation capabilities, including developmental, acceptance, and operational testing. In addition, the organization's limited review of three other Air Force Space Command critical systems revealed concerns similar to those found with the Space Based Infrared System supply chain risk management. As a result, an adversary has opportunity to infiltrate the Air Force Space Command supply chain and sabotage, maliciously introduce an unwanted function, or otherwise compromise the design or integrity of the critical hardware, software, and firmware. Ensure the use of rigorous test and evaluation capabilities, including developmental, acceptance, and operational testing, and require establishment of verification and validation procedures for critical logic-bearing hardware, software, and firmware. The DoDIG also recommends that the Air Force Space Command Commander conduct a detailed review of the supply chain risk management for the Air Force Satellite Control Network, Family of Advanced Beyond Line-of-Sight Terminals, and Global Positioning System programs, and all other programs deemed critical to the Air Force Space Command, to ensure compliance with DoD supply chain risk management policy. If deficiencies are identified, Air Force Space Command officials must develop a plan of action with milestones to correct the deficiencies. Incorporate modernized requirements and verification processes to ensure the security of the program and perform verification and validation of these requirements using program protection surveys, independent third party assessors, and developmental and operational tests. In addition, the Vice Commander agreed to conduct a supply chain risk management review of the Air Force Satellite Control Network, Family of Advanced Beyond Line-of-Sight Terminals, and Global Positioning System programs, and other programs deemed critical to the Air Force Space Command, to ensure compliance with DoD supply chain risk management policy. The comments from the Vice Commander addressed the DoDIG's recommendations; therefore, the recommendations are resolved and will remain open. The recommendations will be closed once the Vice Commander provides the documentation showing that the actions have been completed.